Miller Fireworks of Holland, Ohio has recalled its ball bullet rocket fireworks due to explosion and burn hazards. The products are packed in bags of four with model number LB6103 and M-150 cracker fireworks packed in boxes of 36 with model number LA150B. The model numbers are printed on the packaging. 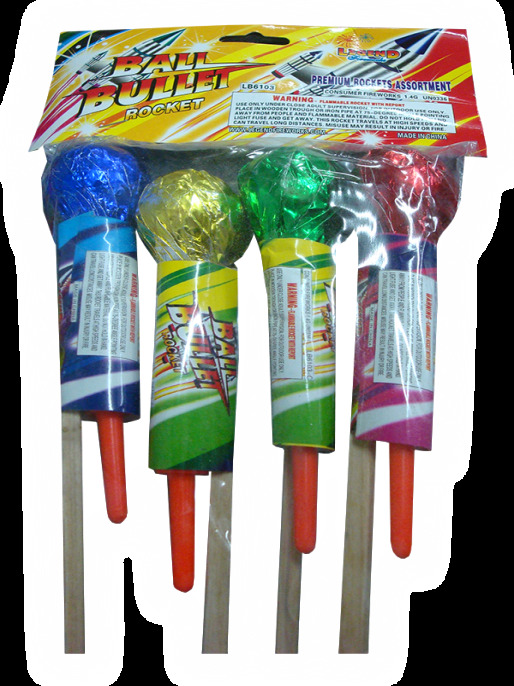 The recalled ball bullet rocket fireworks were sold with four different colored fireworks and have “Ball Bullet Rocket” printed on the packaging. 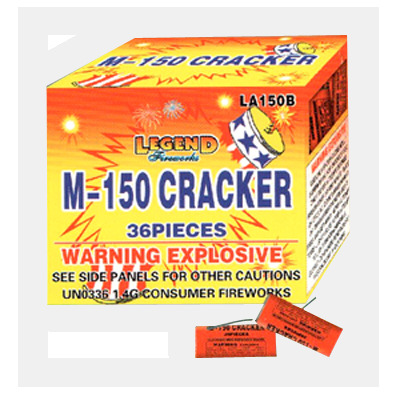 The M-150 cracker fireworks were sold in a yellow/orange box and have “Legend Fireworks M-150 Cracker 36 Pieces” printed on the front of the box. There have been no injuries and the recall involves about 3,800 products.